Washington wineries Alexandria Nicole Cellars and Sigillo Cellars were among the top award winners at the 2019 SavorNW Wine Awards competition. Alexandria Nicole Cellars claimed three Best of Class awards and three Gold Medals while Sigillo Cellars earned three Gold Medals and two Best of Class honors. The SavorNW Wine Awards competition featured more than 750 wines from throughout the Northwest and was conducted February 24-27 in Cannon Beach, Oregon with entries from Washington, Oregon, British Columbia and Idaho. Alexandria Nicole claimed Best of Class honors for its 2018 a Squared Sauvignon Blanc, 2018 Shepherd's Mark White Blend and 2018 Crawford Viognier. The winery earned Gold Medals for their 2016 a Squared Cabernet Sauvignon, 2018 a Squared Pinot Gris and their Quarry Butte red wine blend. Sigillo Cellars claimed Best of Class honors for their 2016 Petit Verdot and 2016 Sunset Red Blend; and Gold Medals for their 2016 Cabernet Franc, 2016 Cabernet Sauvignon and 2017 Brut Sparkling Viognier. A total of 10 wineries claimed three Gold medals or better including Southern Oregon's Reustle Prayer Rock Vineyards and Schmidt Family Vineyards, Stave & Stone Wine Estates from Hood River and Puffin Wines in Cannon Beach. Two British Columbia wineries claimed three top awards including 50th Parallel Estate in Kelowna, BC and Mt Lehman Winery in Abbotsford, BC. Idaho's most decorated winery, Clearwater Canyon Cellars earned two Gold Medals and one Double Gold Medal. Other Washington wineries to claim three top awards included Finn Hill Winery in Woodinville, Milbrandt Vineyards in Prosser and Tertulia Cellars in Walla Walla. The competition included 80 Pinot Noirs and 20 of those rose to claim Gold Medal or better. Two judging panels each nominated a single wine for Best Pinot Noir and a final judges' evaluation declared co-Best of Class winners. When the winners of the blind competition were revealed, the co-Best of Class awards went to Willamette Valley's Panther Creek Vineyards for their 2016 Kalita Vineyard Pinot Noir and to Southern Oregon's Rellik Winery for their 2016 Pinot Noir. Double Gold winners for Pinot Noir included Monte Ferro Wines 2016 Pinot Noir, Rain Dance Vineyards 2016 Estate Pinot Noir, Trella Vineyards 2015 Pinot Noir and 51 Weeks Winemaking 2016 Ruby Vineyard Pinot Noir. 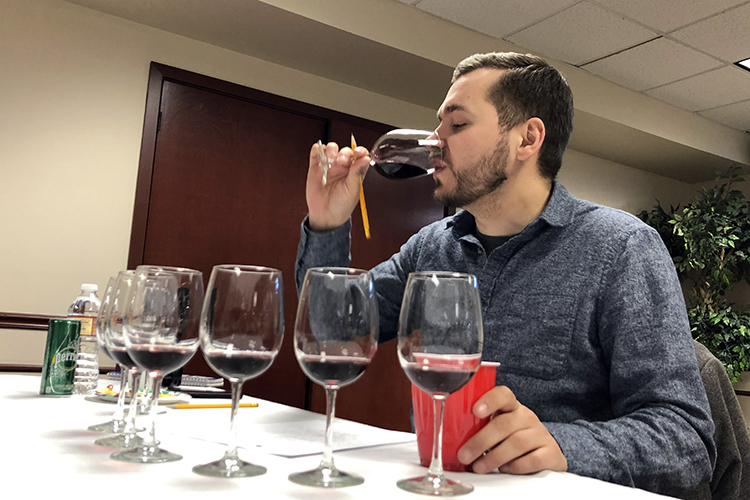 The SavorNW Wine Awards competition is a blind judging (judges only know the varietal of the wines) by some of the top wine professionals in the Northwest including wine writers, buyers and experienced wine judges. Follow the link below for complete results.